NOVA meets a new breed of experts who are approaching "cold case" art mysteries as if they were crime scenes, determined to discover "who committed the art." The program also follows art sleuths as they deploy new techniques to combat the multi-billion dollar criminal market in stolen and fraudulent art. 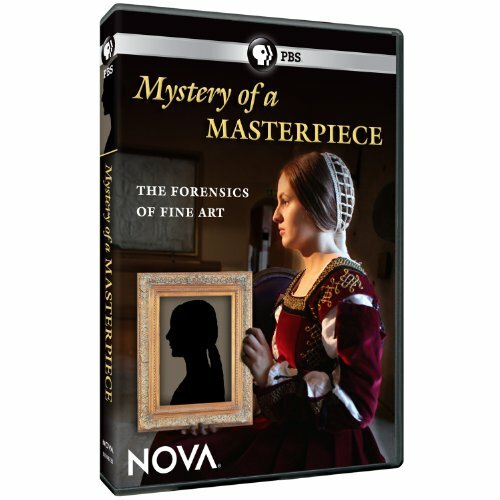 Arlington, Va. - February 3, 2012 - PBS Distribution today announced it is releasing Nova: Mystery of a Masterpiece on DVD. NOVA meets a new breed of experts who are approaching "cold case" art mysteries as if they were crime scenes, determined to discover "who committed the art." The program also follows art sleuths as they deploy new techniques to combat the multi-billion dollar criminal market in stolen and fraudulent art. Nova: Mystery of a Masterpiece will be available on DVD February 28, 2012. The running time of the program is 60 minutes and the SRP is $24.99. In October 2009, a striking portrait of a young woman in Renaissance dress made world news headlines. Though it had been purchased two years earlier for around $20,000, the portrait is now thought to be an undiscovered masterwork by Leonardo da Vinci worth more than $100 million. How did cutting edge imaging analysis help tie the portrait to Leonardo? Dive into the forensics of fine art in this new 60-minute NOVA program. Now in its 39th season, NOVA is the most-watched primetime science series on American television, reaching more than four million viewers weekly. NOVA also is distributed in over one hundred and sixty countries world wide in twenty-seven languages. The series remains committed to producing in-depth science programming in the form of hour-long (and occasionally longer) documentaries, from the latest breakthroughs in technology to the deepest mysteries of the natural world. NOVA airs Wednesdays at 9pm ET/PT on WGBH Boston and most PBS stations. The Director of the WGBH Science Unit and Senior Executive Producer of NOVA is Paula S. Apsell. Funding for NOVA is provided by, David H. Koch, the Howard Hughes Medical Institute, the Corporation for Public Broadcasting, and public television viewers. NOVA is closed-captioned for deaf and hard-of-hearing viewers and described for people who are blind or visually impaired by the Media AccessGroup at WGBH. The descriptive narration is available on the SAP channel orstereo TV and VCRs. PBS Distribution is the leading media distributor for the public television community, both domestically and internationally. Jointly owned by PBS (Arlington, VA) and WGBH (Boston, MA), PBS Distribution extends the reach of public television programs beyond broadcast while generating revenue for the public television system and our production partners.